When considering the United States as a destination, one of the factors which a lot of people take into account is the climate of the part they are going to visit. For many people, their ability to put up with an extremely hot or cold climate can be a deciding factor when choosing their destination. This article could be of interest to you due the climate contrasts with that of the places we are going to discuss. Read also: 10 valuable tips to road trips in the USA. Remember that if you want to travel to any of these destinations, you must request an electronic travel authorisation called the ESTA Visa, which can be obtained online. The hottest states which are those situated in the southwest of the United States and include Arizona, California, Colorado, Nevada, New Mexico, Utah, Oklahoma and Texas. Various studies show that climate has been one of the obstacles for population growth, which explains why this geographical area is where the cities with the lowest population in all of North America are located. In these areas there is normally less than three people for every square metre, although there are also metropolitan areas with slightly higher growth rates. The result of this is that, due to the inversely proportional relationship between population and space, these cities give the impression of being very extensive, with open spaces that many cities would envy. The cities with most growth in the USA are Las Vegas, Phoenix and Albuquerque. However, it is also worth noting that Los Angeles is still the most densely populated city in southwest USA. For this reason, Los Angeles is the second US city in terms of the population rate and its figures. Las Vegas, Carson City and Reno belong to the state of Nevada. Carson City is the state’s capital. 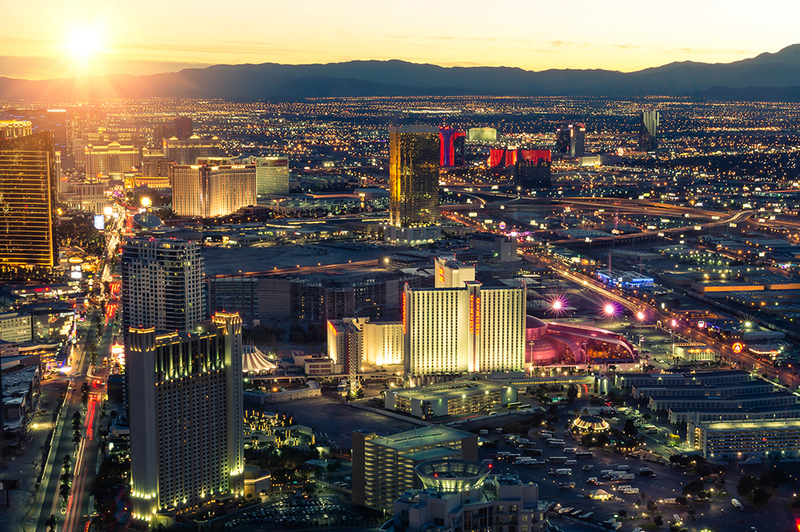 Las Vegas is the most populated city of the three and the city of Reno is considered to have the most growth possibilities. This region has a desert climate with two predominant seasons; the long winters and mainly warm summers. The temperature changes are very important in the whole area. Proof of this is that in the city of Reno the warm days can reach temperatures of over 25° C. Towards the south, the temperatures tend to be a little higher. Phoenix is known as the “Valley of the Sun”, is located in the state of Arizona and is the most populated city in this area. It is the sixth most populated city in the United States and is considered to be a modern city with dynamic commercial and real estate growth. Temperature are normally hot in the summer and reach over 38° C. In contrast to the summer, winter is normally mild, making it an ideal place for those who don’t like intense cold climates. Dallas is located in the state of Texas and is its third biggest city. Due to its geographic position, it has the USA’s largest population. It has no sea access and its industry is constantly growing. Under the motto “Big Things Happen Here”, this city has caught the interest of many travellers, which offers a lot in terms of real estate and business in general. The climate is very similar to those already mentioned in other parts of the southwest, making it perfect for travellers from colder climates. Read also: Taking a Cruise in Alaska: A Wildlife Paradise.